Bollywood movie Thugs of Hindostan has been all over our news feed because of its stellar cast. The film features Aamir Khan, Amitabh Bachchan, Katrina Kaif and Fatima Sana Shaikh in lead roles. Based on Philip Meadows Taylor's 1839 novel, Confessions of a Thug, it is about a gang who posed a serious challenge to the British Empire in India during the early 19th century. Apparently, the team built two large ships - weighing two lakh kilos - on which the film has been shot. Helmed by Vijay Krishna Acharya, the film is slated to hit theatres on 8th November 2018. On Monday, the makers of the film had unveiled the logo of the film. Now, they have unveiled its first character and we're impressed! 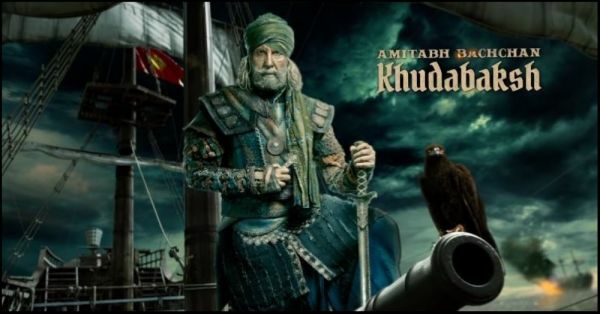 Aamir Khan took to his Twitter account to share the teaser and introduced Amitabh Bachchan's character of Khudabaksh, who is the commander of all Thugs! Big B's look reminds us of Shahenshah. The clip shows an eagle flying against the dark sky where we can hear the thunderbolt. It comes and sits next to Bachchan who is seen standing on a ship, holding a sword. He looks quite deadly and we're sure he's going to be intense in the movie! Isn't this like Pirates of the Caribbean? It's like a desi version of the Johnny Depp flick. The background score is a mix of what we heard in Jodhaa Akbar, Padmaavat and Raabta. The next look the makers have unveiled is of Fatima Sana Shaikh. 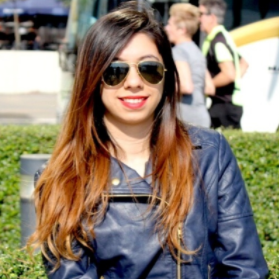 Her character Zafira is fierce and has a scar on her right eyebrow. She looks like a ferocious warrior shooting an arrow. Brace yourselves for the most awaited look from the film. Katrina Kaif looks breathtakingly beautiful in her look as Suraiyya. She is seen clad in a bottle green choli with a lehenga with a thigh-high slit. Did you like their looks? Tell us in the comments section!